CXOs: Have you discovered the 55-Minute Guide Series yet? It’s official. Short is the new long (unlike this post perhaps!). 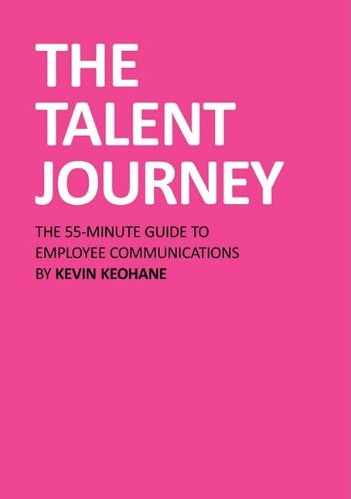 A few years ago, Kevin Keohane and I had the heretical notion that the answer to getting c-suite types to open their minds to the business value of brand and business communications was to merrily swim in the opposite direction to most of our brethren. Where they tried to persuade people with pseudo-academic tomes full of detailed case studies and examples, we decided to take the path less travelled – short, unapologetically opinionated and no-holds barred synopses of critical insights and what to do about them. So the 55-Minute Guide series was born, and a long-overdue scan of the books’ pages on Amazon would seem to suggest we were bang on. If there’s a golden rule of branding, it’s to be authentic – to ensure that the gap between what you promise and what you deliver is as small as humanly possible. So, even more than the recognition our authors have rightly received for the quality of their insights, what’s really great to see from customer reviews is that we’ve also clearly lived up to the challenging promise of delivering them in a way that people can consume the lot in under an hour – not through dumbing down, mind you, but through ruthlessly weeding out tangential and superfluous elements and focusing on what really matters. All in all, not a bad body of work. And if you haven’t yet picked up your copies, well then maybe it’s time you should (see the links at the bottom of this page). They could well be the most insightful 55-minutes you ever spend.